Are you ready to take the Select All command to the next level? 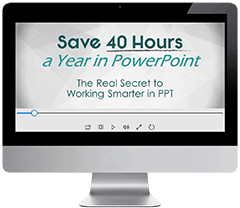 Well I’ve pulled together a variety of Select All shortcuts and secrets showing you how to get the most out of it in Word, Excel and PowerPoint. On top of that, you’ll find a few clever ways to select text, objects, formulas, constants and other useful things so that you can quickly find and format the things you need in your documents. 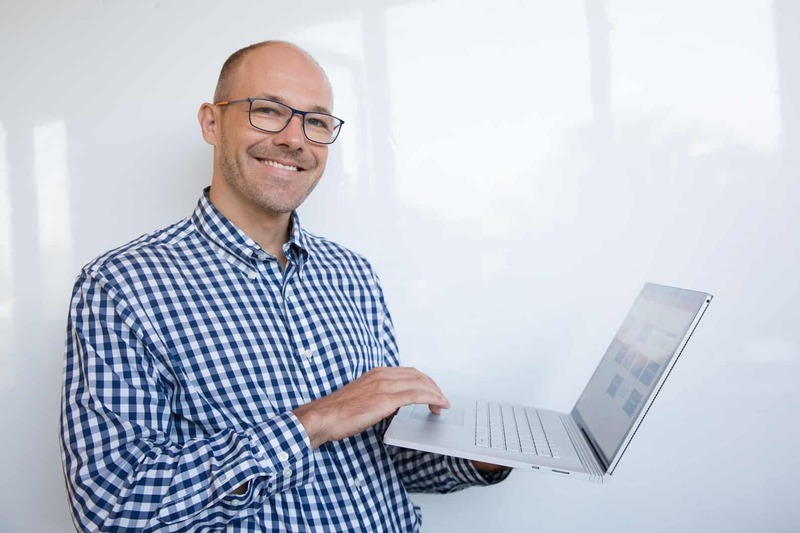 That said there are a variety of different ways you can use Select All in Word, Excel and PowerPoint to finish your tasks faster and get you to Happy Hour (all discussed below). How to best use the Select All command? Select All is best used to quickly select all of the text, numbers, objects, formulas etc., in a document so you that you can quickly identify and/or make changes to things all at once. Why bother doing these things manually (one-by-one) when you can select everything and make your formatting changes in one go. And it’s this kind of know-how that lets one person leave the office on time (with all of her tasks complete) while another poor soul slaves away at the office all night to complete the same number of tasks. #1. Select All (Ctrl + A) - Selects everything within your document so that you can make all the formatting edits that you want at the same time. Clicking this command with your mouse is the same as hitting Ctrl + A on your keyboard (Cmd + A on a Mac). #2. Select Objects - Changes your mouse cursor into an arrow symbol that allows you to select an element (chart, picture, SmartArt graphic, etc.) as an object. When you normally select an object with your mouse, you will click into the object itself (as if you want to edit it). The Select Objects command ensures that you select the object from the outside so that you can cut and paste it or move around within your document (rather than edit it). #3. 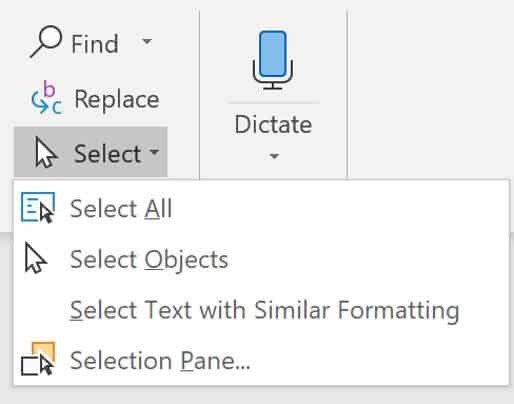 Select Text with Similar Formatting - Selects all of the text within a Word document that matches the formatting of the text that you have already selected. 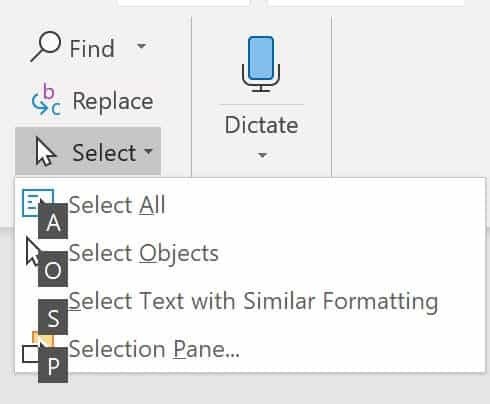 This is one of the coolest features in Microsoft Word because it allows you to quickly select ALL of the text within your document with a particular type of formatting, so that you can make changes to all that similar text. #4: Selection Pane (Alt + F10) - Opens the Selection Pane in Word allowing to you see (and quickly manipulate) the specific objects (charts, pictures, SmartArt graphics, etc.) on each page of your Word document. Similar to the Selection Pane in PowerPoint, the Selection Pane only shows you the objects on the current page you are currently working on. 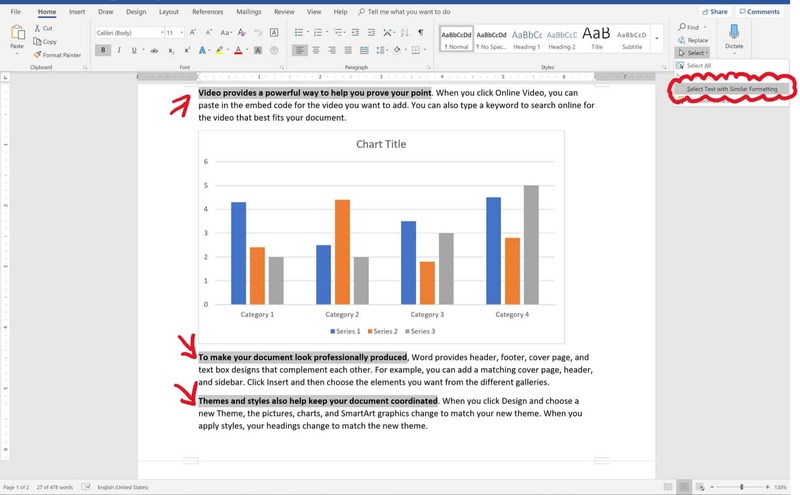 That means that if you have 100 charts in your Word document but only 1 chart on the current page you are editing, you will only see 1 chart in the Selection Pane. 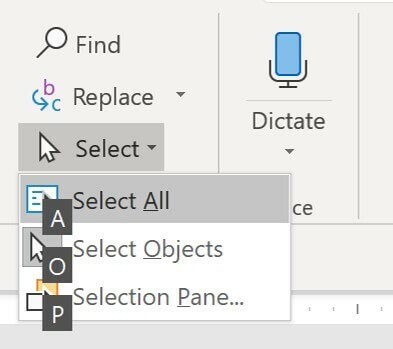 Instead of using your mouse to access these Select All commands in Word, if you are on a PC you can alternatively use your Ribbon Guide shortcut combinations (see below). 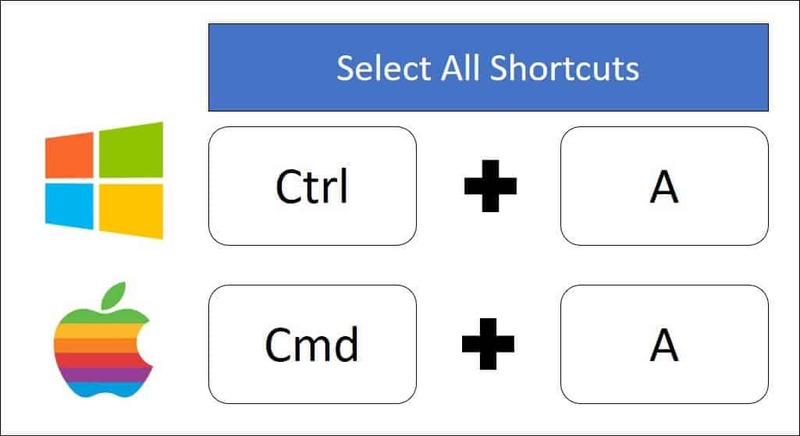 To use these shortcuts, simply hit the Alt key on your keyboard and follow the alphabetical or numerical sequences to the commands across your Ribbon. Note: When using your Ribbon Guide shortcuts in Word, you do not need to hold down the keys down on your keyboard to make them work. Instead, simply hit and let go of them one at a time (following the letters forward). 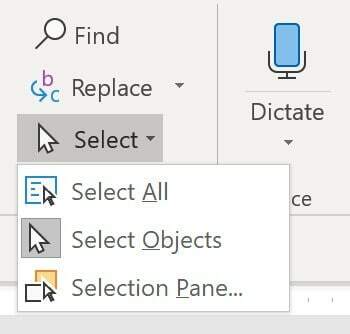 You have 3 different types of selection options in PowerPoint (all of which you can shortcut on a PC using your Ribbon Guide shortcuts as discussed further below). #1: Select All (Ctrl + A): Select all of the objects that are currently on your slide. In PowerPoint, the Select All command works in all of the different PowerPoint views (Normal View, Slide Master View, Handout Master View, Notes Master View, etc.). On top of that, you can also use the command (or shortcut) to select all of the slides in the thumbnail view of your presentation on the left side of the screen. #2: Select Objects: This is the default selection option in PowerPoint, allowing you to select objects (shapes, text boxes, charts, SmartArt graphics, etc.) which is what all of your slides are made of. #3: Selection Pane (Alt + F10): Opens the Selection Pane in PowerPoint, giving you a bird's eye view of everything that is on your slide (even if it is buried beneath something else). 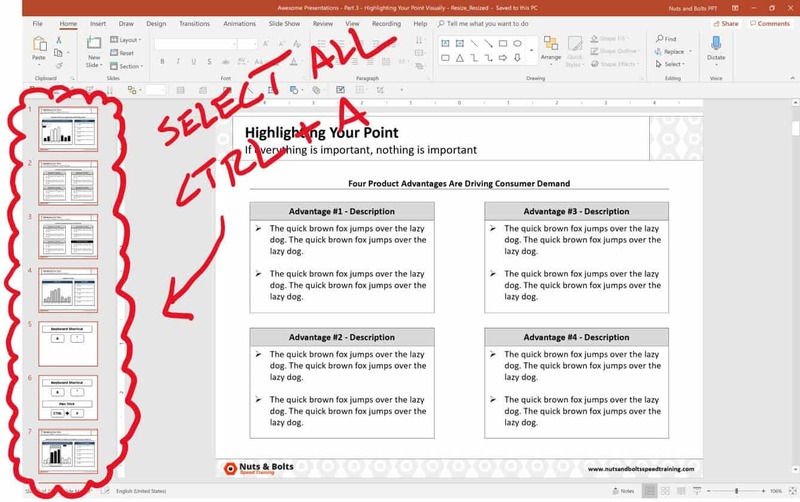 To learn more about how to use the Selection Pane shortcuts in PowerPoint, watch the short video below. Another way to cleverly use the Select All command in PowerPoint it to 'inverse-select' your objects. For example, let's say you want to select EVERYTHING on your slide except for the title. Doing so leaves you with everything on your slide selected except for your slide title (or whatever else you unselected by holding the Shift or Ctrl key). Besides navigating the Select All commands using your mouse, you can also use your Ribbon Guide shortcuts to access them if you are on a PC. To use your Ribbon Guide shortcuts, simply hit and let go of the Alt key, and then follow the alphabetical or numerical queues to find your command (all shortcut combinations are listed below). Note: When using your Ribbon Guide shortcuts, you do not need to hold down the keys to make them work. Instead, simply hit and let go of them one at a time. Because there are so many more inputs that go into an Excel spreadsheet, there are many more ways to select things in Excel, with 7 different Select commands (all covered below). #1: Select All (Ctrl + A): Hitting Ctrl + A triggers the Select All command (which is otherwise not up in your Excel ribbon. 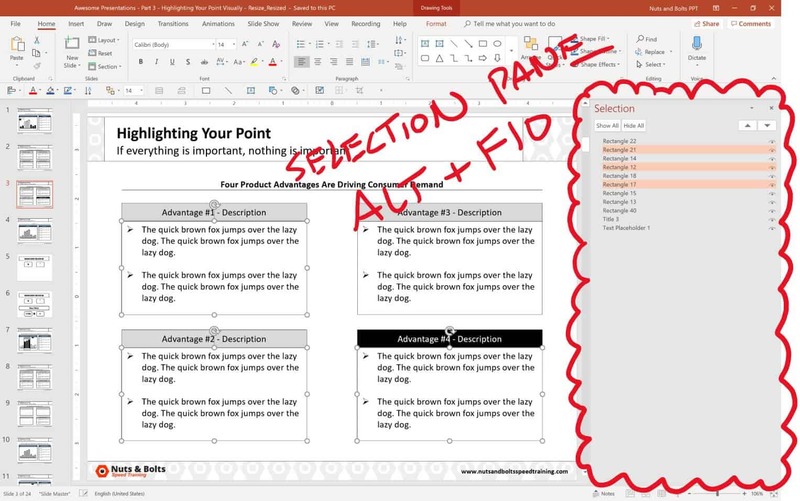 It’s also important to note that the Select All command works a little bit differently in Excel than it does in Word and PowerPoint (as pictured above). Using Select All once in Excel first selects the block of cells that you are currently active in (as you can see in the picture above on the left). Using the Select All command a second time will then select all of the cells in your spreadsheet. #2: Select Formulas: Clicking Formulas will select all of the formulas in your current spreadsheet (pictured below). This is a fast way and easy way to quickly identify and change th formatting of any formulas in your spreadsheet. #3: Select Comments: Clicking Comments automatically selects all of the comments in your spreadsheet (pictured below). Comments show up in your spreadsheet as little markers in the upper-right hand corner of your cells. If you don't want to waste time searching for them, simply select all comments so you can quickly find and/or change the formatting of them in your spreadsheet. #4: Select Conditional Formatting: Clicking Conditional Formatting selects any cells within your spreadsheet that have conditional formatting in them. #5: Select Constants: Selects all the constant values in your spreadsheet (i.e. values that are not formula-driven). This is a fast and easy way to find all of the inputs that someone is using in their financial model or spreadsheet so that you can double-check their assumptions (pictured below). #6: Select Objects: Turns your cursor into an arrow that allows you to select objects that are within your spreadsheet (charts, pictures, SmartArt graphics etc.). This is useful when you have a large spreadsheet or dashboard and you want to just select a single graphic without accidentally selecting the cells around it. #7: Selection Pane (Alt + F10): Opens the Selection Pane in Excel, showing you all of the charts, pictures, SmartArt graphics, etc., that are currently within your active spreadsheet. Just keep in mind that the Selection Pane will only show you objects that are within the current sheet you are on. It will not show you objects that are on other sheets within your Excel file. 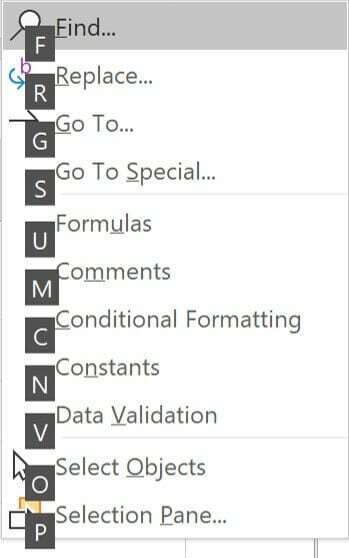 On top of using your mouse to activate the different Select commands in Excel, if you are on a PC, you can also use your Ribbon Guides to shortcut these commands (see key combinations below). If you use any of these Select All commands A LOT when working in Excel and are on a PC, I highly recommend learning these key combinations to save you time.